With over 25 years of teaching experience, Diane is a practiced online educator specializing in capacity building in nutrition, public and international health, and the importance of cultural diversity in nutrition. As the director of Adelphi’s M.S. in Nutrition program, Diane has written and developed coursework for this top-ranked program. Her research interests include best practices in online teaching and learning, eating and exercise habits and their effects on health, nutrition education, and geriatric nutrition and heart health. Diane has researched nutrition and health internationally, including in Peru and India. She served as the clinical coordinator on an FDA human clinical trial and has worked as a hospital dietitian. 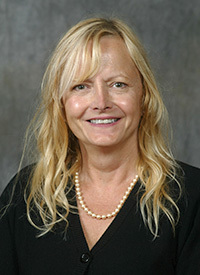 Diane holds a Ph.D. in Human Nutrition from Colorado State University. She also earned a Master of Arts in Bioanthropology from Indiana University and a bachelor’s degree in anthropology from the State University of New York at New Paltz.